The latest remaster craze to hit shelves, Spyro Reignited Trilogy, is almost here. As such, Activision has created (and flown) a life-sized, fire-breathing, Spyro Drone in celebration of the launch. 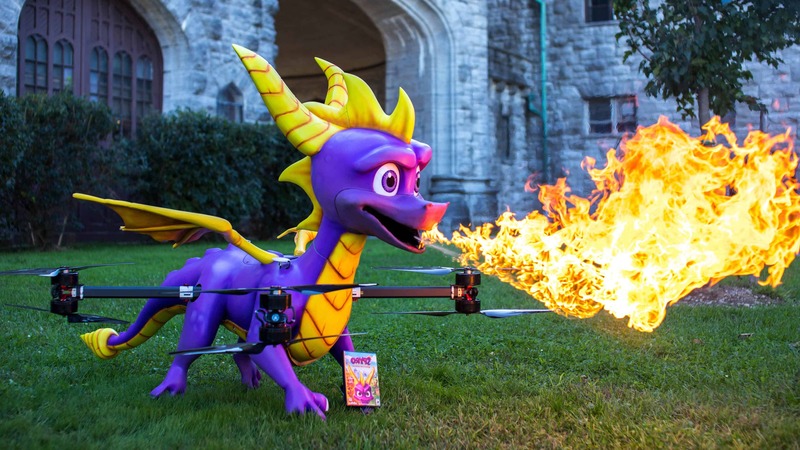 The Spyro Drone can talk (with lines ripped straight out of the games), shoot flames out of its mouth (and boy does it look good), and even features an onboard camera, so people can see what it sees. Honestly, it is super cool! The Spyro Drone will reportedly be flying to locations inspired by the levels of Spyro the Dragon, Spyro 2: Ripto’s Rage!, and Spyro: Way of the Dragon, as well as locations that inspired levels in the games. In a short publicised video of the Spyro Drone, you can see that it has already visited a castle that inspired the game’s Stone Hill area. Be warned, the video contains segments that have been shot vertically (PSA: always shoot videos from your mobile in landscape/horizontally). 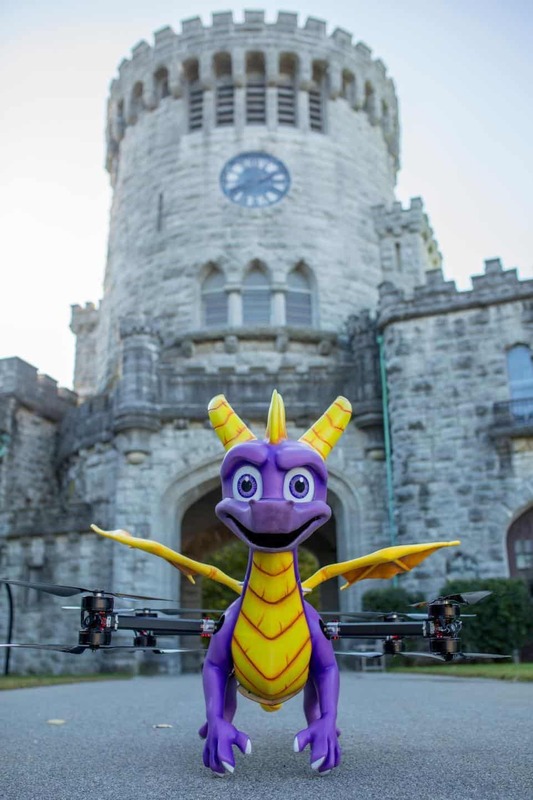 The Spyro Drone started its journey at Stone Hill, in New York and is set to visit Spooky Swamp, Icey Peak, Peace Keepers, and much more. It is also set to deliver rapper Snoop Dogg his own copy of the Reignited Trilogy once the game launches on 13 November 2018. Talk about a sweet deal. 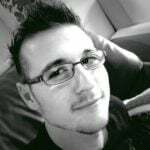 Michelle Fonseca, Senior Product and Marketing Director at Activision, states that the company is very excited to have Snoop Dogg join them in celebrating the purple dragon’s return. She says that since both are “enduring icons each known for their quick wit and one-liners”, they “knew that fans who grew up enjoying both Snoop and Spyro would appreciate the connection”. Well, Michelle, you are not wrong.